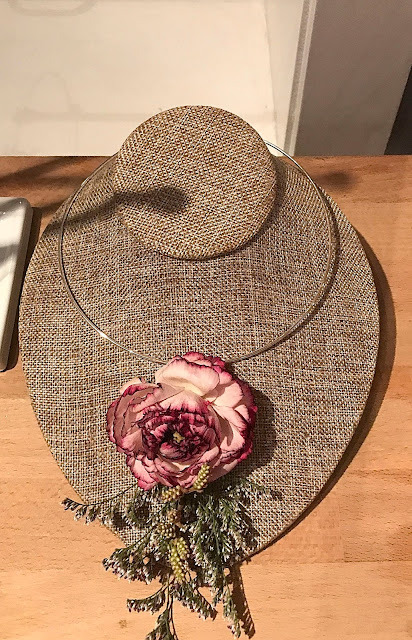 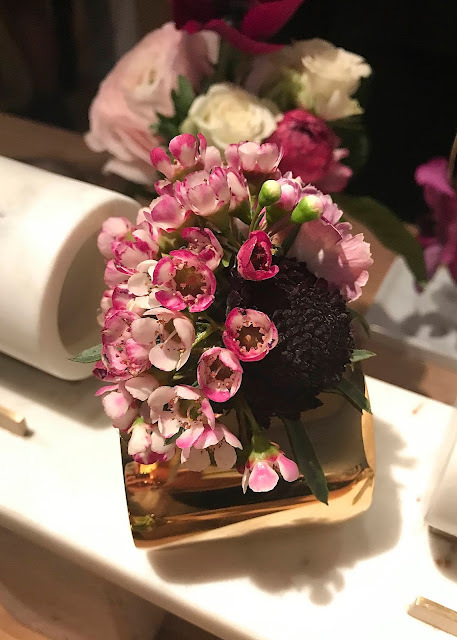 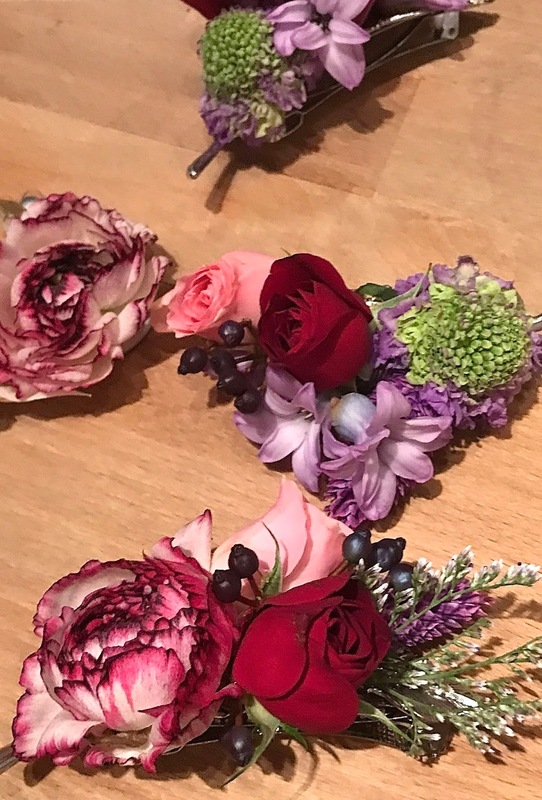 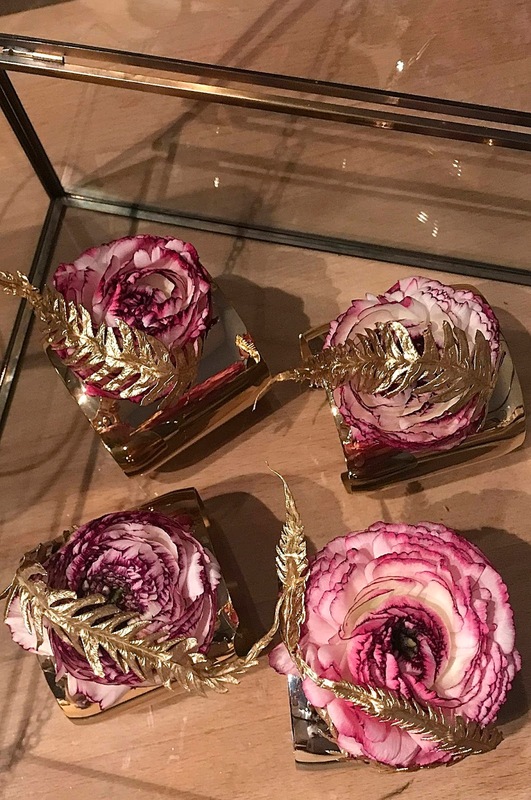 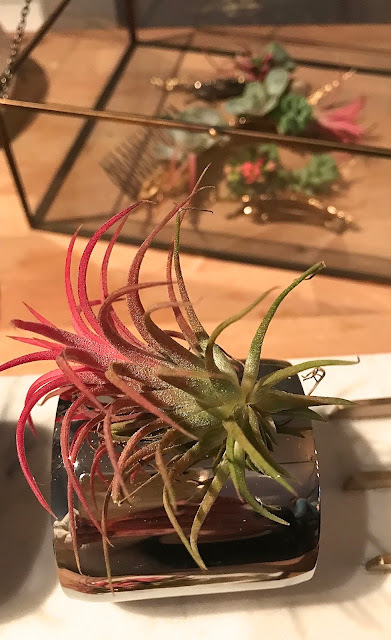 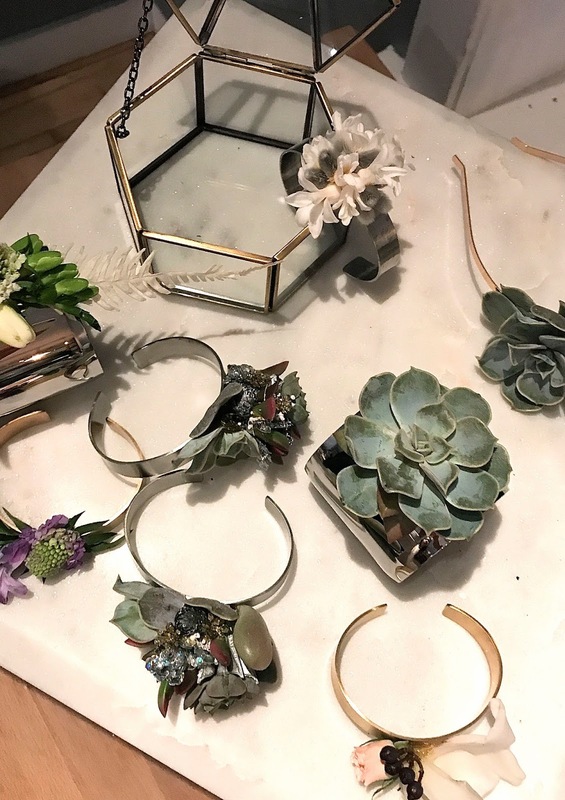 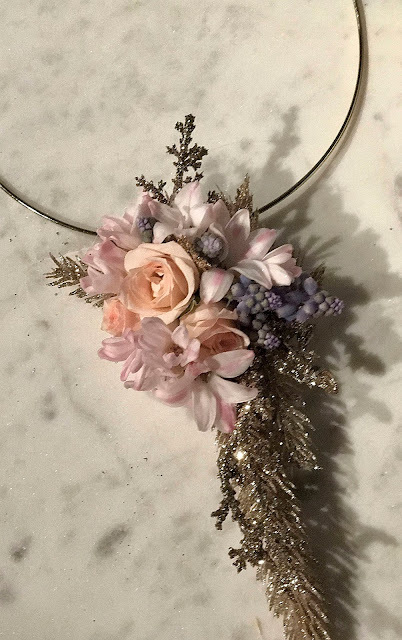 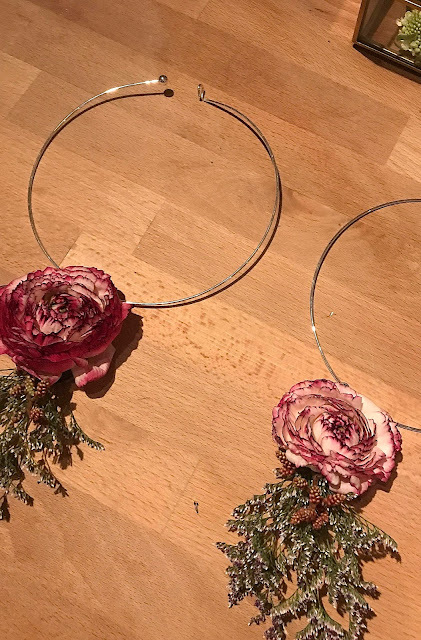 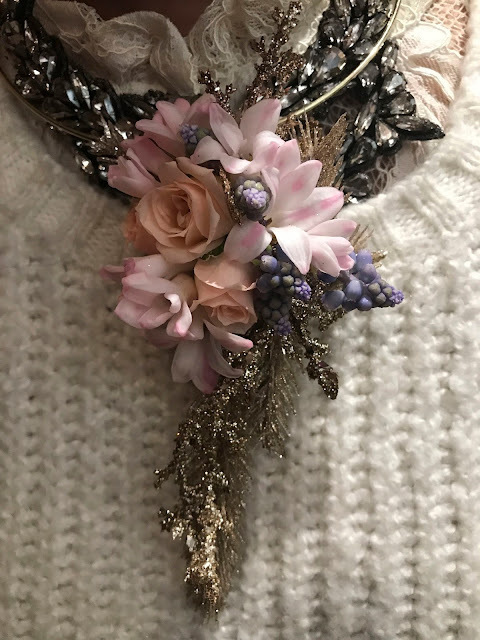 Last week I previewed B Floral's fresh floral accessory line, ranging from customized rings, cuff bracelets and necklaces to hair barrettes and headbands. 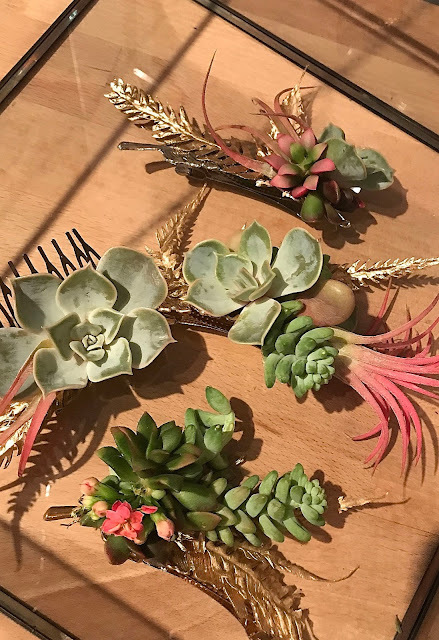 All of B Floral's accessories are custom made with fresh flowers and succulents, so no two accessories are alike. 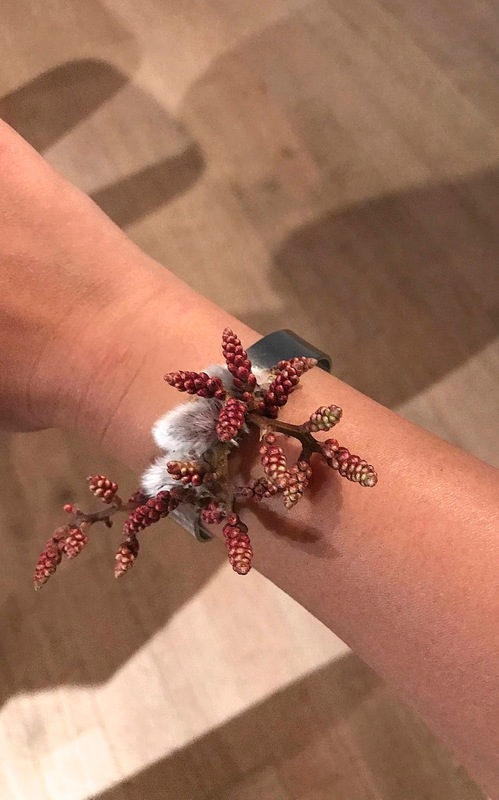 It's such a unique way to accessorize, and is also inspiring me to maybe take advantage of my parents' garden and create my own fresh floral look this spring/summer. 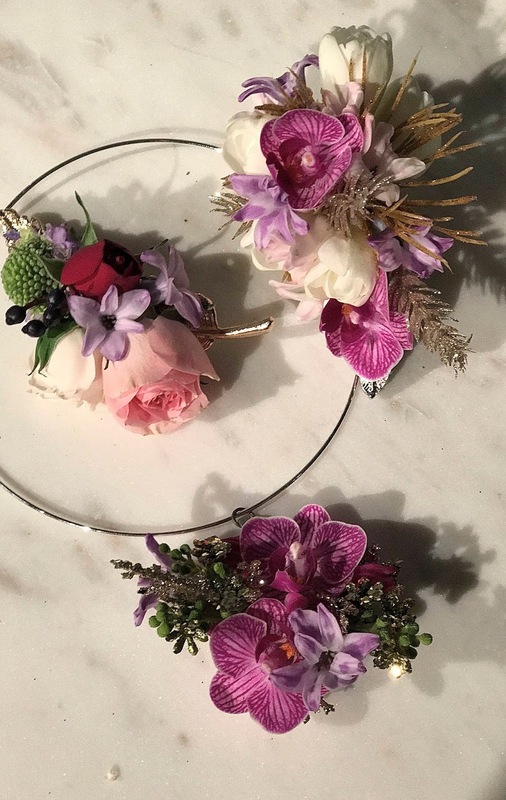 During the event guests were able to choose fresh floral accessories to wear. 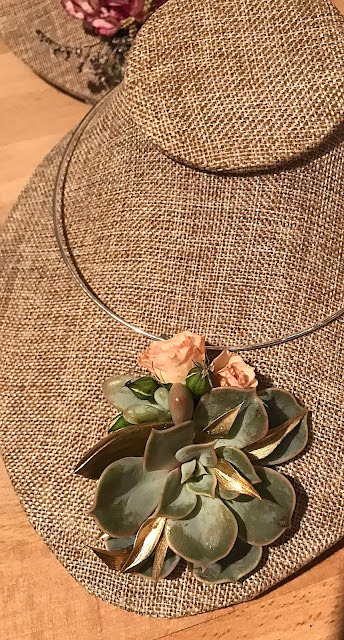 My favorite piece was a fresh floral necklace that I also wore to work the next day. The fresh floral scent around my neck definitely brightened my work day! 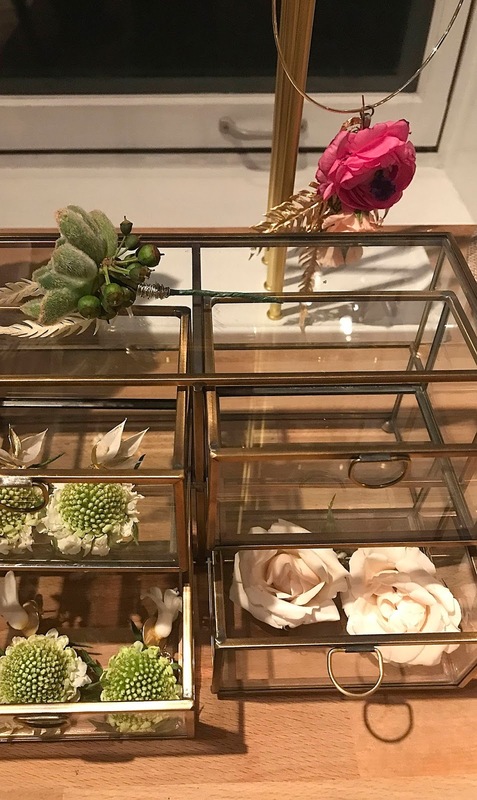 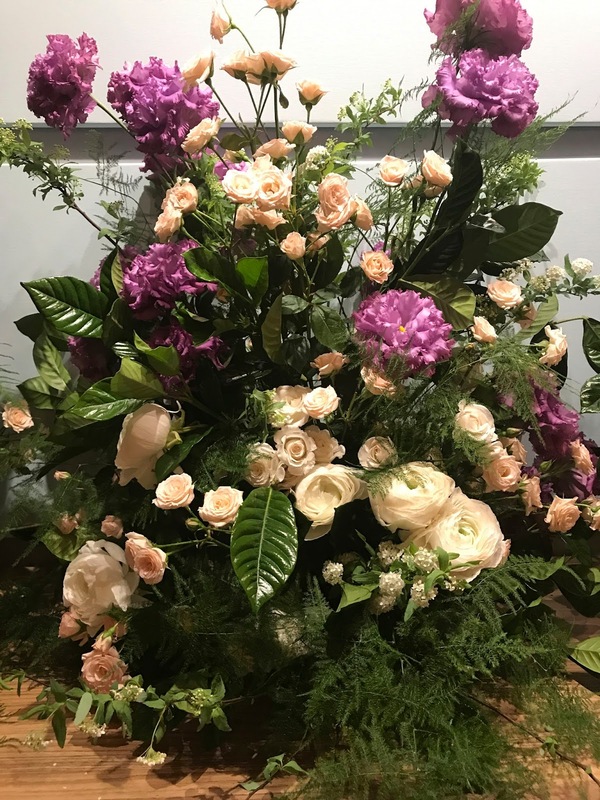 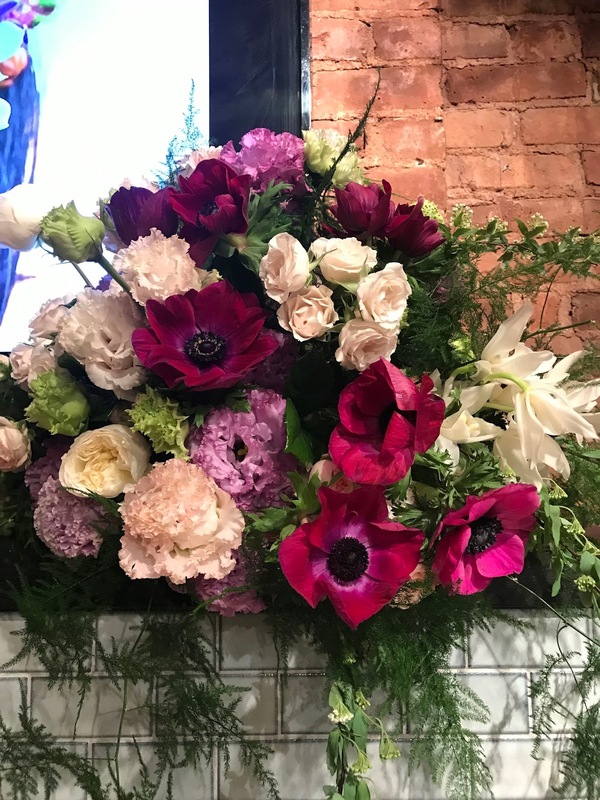 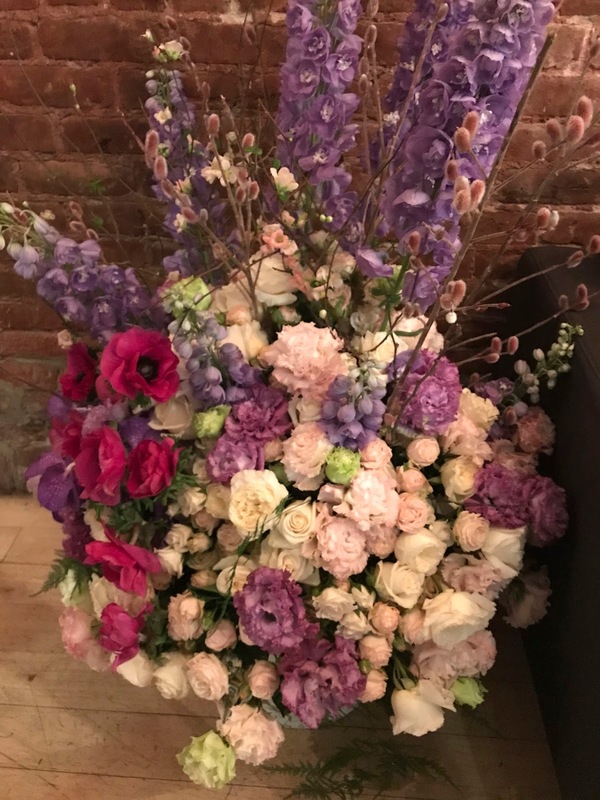 To create a customized piece or plan a floral accessory project for an event or party, contact events@bfloral.com.